Dr Wendy Ludwig is Deputy CEO - Vocational Education and Training, at Batchelor Institute. She is a member of the Institute’s Executive Leadership Team and provides advice to the CEO, and the Institute Council, on matters relating to all aspects of Vocational Education and Training, as well as contributing to the overall strategic direction for the Institute. 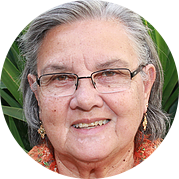 Dr Ludwig is a Kungarakan and Gurindji woman from Darwin, with considerable executive leadership experience in the tertiary education sector, as well as on community committees and boards of management. She is a current active member of the Kungarakan Cultural and Education Association and has been a Board Director for the Darwin Entertainment Centre since 2016. She joined the Literacy for Life Foundation Board in 2018. 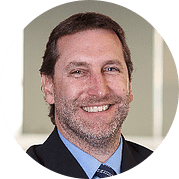 Dr Ludwig’s previous roles include Director of Operations in the Office of the Pro-Vice Chancellor Indigenous Leadership at Charles Darwin University (CDU). During her time at CDU Dr Ludwig was appointed Acting Pro-Vice Chancellor from August 2016-July 2017. Ms Pat Anderson is an Alyawarre woman known around the world as a powerful advocate for disadvantaged people. 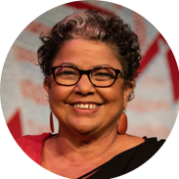 She has a particular focus on Indigenous health, including aspects such as community development, advocacy, policy formation and research ethics. Ms Anderson has spoken before the United Nations Working Group on Indigenous People, and served as Co-chair of the Referendum Council and as the Chairperson of the Lowitja Institute. She has also been the CEO of Danila Dilba Health Service in Darwin, Chair of the National Aboriginal Community Controlled Health Organisation, Executive Officer of the Aboriginal Medical Services Alliance Northern Territory (AMSANT), and was the Chair of the Collaborative Research Centre for Aboriginal Health from 2003 to 2009. 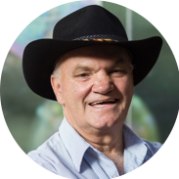 In 2018 Pat was presented with the NAIDOC Lifetime Achievement Award and an honorary UNSW law doctorate. Professor Beetson is a Ngemba man with expertise in facilitating dialogues between cultures, post conflict recovery and reconciliation, adult education and training, sustainable community development and indigenous and human rights education. He is an adjunct Professor at the University of New England and one of only 12 people worldwide to have received a United Nations Unsung Hero Award. Professor Beetson is Chair of the New South Wales Aboriginal Land Council Economic Development Advisory Committee, a Board member of Social Enterprise Finance Australia (SEFA), and regularly undertakes advisory work for government. In the past he has served as the Australian Chair of the Pacific Association of Non-Government Organisations. In 2018 Jack was presented with an honorary doctorate by UNE and was appointed to the UNSW Advisory Council, Arts and Social Sciences. John is CEO of Multiplex Australasia, a founding partner of the Literacy for Life Foundation. 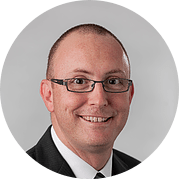 As CEO for Multiplex, John has ultimate responsibility for the operational performance of all Construction & Development and Engineering & Infrastructure projects in Australasia. He is Multiplex’s senior client contact, maintaining open communications regarding progress, opportunities and issues affecting each project undertaken by the company. Don is Executive Director of Operations at Multiplex. Don streamlines best for business initiatives, oversees the various business platforms, plays a strategic role in the direction of the business and ensures that lessons learned are captured and influence the direction and goals set for the business.